Ken Grossman founded Sierra Nevada Brewing Co. in 1980, with the goal of providing his customers with the kind of beer he liked to drink—hoppy, dark and flavorful. His background in home brewing, uncompromising approach to quality, and financial savvy helped him build one of the most successful craft breweries in the U.S.
Sierra Nevada’s products are distributed in all 50 states and overseas. A second Sierra Nevada brewery opened in Mills River, North Carolina in 2013 to satisfy growing demand and reduce the company’s environmental impact. Grossman embraces a philosophy of environmental, social, and economic health that informs his business decisions. Sierra Nevada is a steadfastly family owned and run business, and Grossman plays a large role in the brewery’s day-to-day operations. 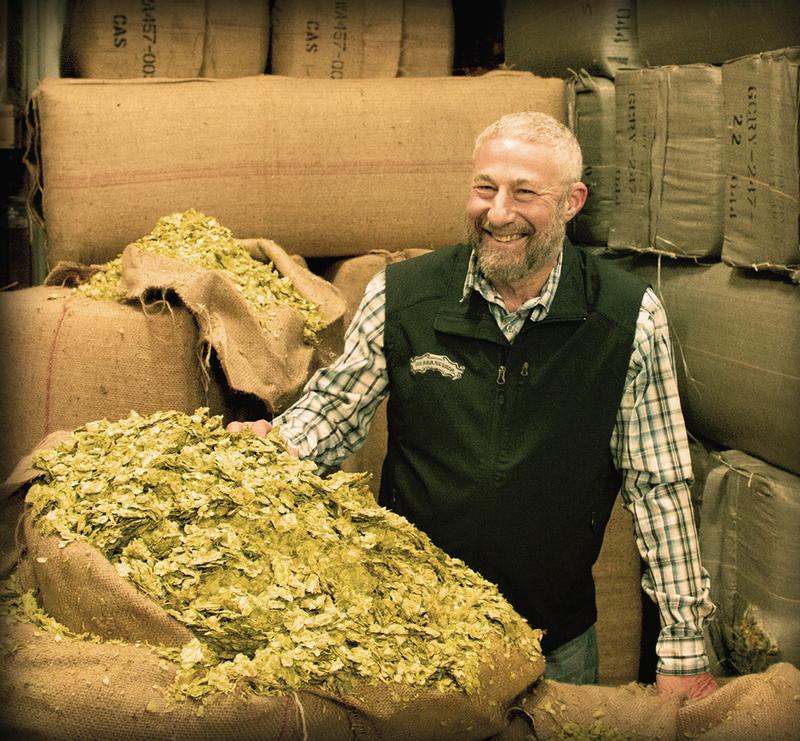 Under his direction, Sierra Nevada’s brewing operation has evolved from using second-hand dairy vessels to one of the most state-of-the-art facilities in the world. The continued expansion of the craft beer industry challenges Grossman to hold true to the company’s spirit of innovation, which helped change the drinking tastes of millions. Bard MBA candidate Carolyn Pincus spoke with Ken in fall 2018 about his journey from home brewing to leadership in the sustainable beverage industry. The following Q&A is an edited excerpt from the Bard MBA’s February 15th The Impact Report podcast. The Impact Report brings together students and faculty in Bard’s MBA in Sustainability program with leaders in business, sustainability and social entrepreneurship. PINCUS: TELL US ABOUT THE SCALING PROCESS THAT SIERRA NEVADA WENT THROUGH FROM AN OPERATIONS PERSPECTIVE. We didn’t start brewing until the end of 1980. We actually brewed five barrels of stout as our very first batch of beer and then immediately started brewing pale ale. We were pretty constrained with equipment. We had two open fermenters and six horizontal cellar tanks that I welded together myself—that was it our first year. Our total production when maxed out initially was basically 120 barrels a month, a little over a thousand barrels a year. We realized that we’d better do something because we were barely breaking even—I worked a second job the first year or so. So we scaled up. We added two more open fermenters and four more cellar tanks and got the capacity up to 2500 barrels. But the brewing industry is very capital intensive, and although our business plan looked okay on paper, it wasn’t working as well as we envisioned. So we figured out how to expand the brewhouse again, and at that point we were starting to make a living and growing pretty rapidly. The banks weren’t interested in loaning breweries money in that era. They realized that breweries had been going out of business at a rapid pace since the end of Prohibition. So we did what we could to max out capacity on our own. By 1987, we were producing close to 12,000 barrels, and at that point I guess we had enough of a track record that we were able to convince a bank to loan us some money along with friends and family. We started construction on a building and opened up where were are currently in 1988. Then we went to our next phase, which was to design our capacity to go to 60,000 barrels. At that time it was pretty difficult to sell craft beer. The whole segment was pretty unknown. A small American brewery producing hoppy styles of beers—some with yeast in the bottles—was a bit of a hard sale for the wholesalers, retailers and consumers. We did a lot of beer festivals and eventually convinced bars and restaurants to carry our beer. PINCUS: WHAT SUSTAINABILITY PROGRAMS OR INITIATIVES ARE YOU MOST EXCITED ABOUT AT SIERRA NEVADA? In our Chico facility, we’ve been putting in energy generation equipment. About 15 years ago we put in a megawatt of fuel cell power. At the time, it was the largest private installation in the U.S. We ran that equipment for about 10 years—basically its useful life. We’ve since changed that out to ten microturbines—2 megawatts worth—with a bank of Tesla batteries. We sort of have our own onsite storage and distribution network, which is coupled with more than 10,000 solar panels that we put in about ten years ago as well. The Chico facility produces almost 100% of its own energy. We have organic gardens at our restaurants for both breweries. We have organic hops and barley fields here in Chico that produce a small percentage of our own barley. We also have a big composting system from New Zealand called a hot rot that takes a ton of waste material a day. So all of our restaurant scraps, paper towels and some hops get turned into really great compost that’s used on our hops and barley. I believe that our North Carolina facility is the first and only LEED Platinum brewery in the U.S. We’ve done things around water conservation for years, so we incorporated a lot of water storage there. The toilets are flushed with storm water, the irrigation is all storm water. At both breweries, we have anaerobic digestors that treat our wastewater and generate methane that we capture. We use it in gas turbines in North Carolina and in our boilers in Chico, providing a percentage of our gas energy. PINCUS: I SAW THAT SIERRA NEVADA HAS CREATED A BEER TO RAISE FUNDS FOR THE RECENT FIRES IN CALIFORNIA. The fires have been hugely impactful to our community and workforce. Over sixty of our employees were affected by the fires, and close to fifty lost their homes. It’s been very traumatic, and a lot of lives have been lost as well. We’ve done what we can. Our first response was to open our restaurant for free meals and our gift shop for free clothing. Then we started a 501(c)(3) housing fund to get some financial resources to help the community. As part of that fundraising effort, we launched a national plea for brewers to brew a batch of our Resilience Butte County Proud IPA and give the proceeds to this community fund so that we can help in the rebuilding. It’s been a pretty amazing response. Over 1400 brewers signed up to contribute all their proceeds from a batch of Resilience. Our suppliers donated ingredients. Wholesalers and retailers agreed to carry the beer for free. Sierra Nevada is canning and distributing it across the country. We’re hoping to raise a significant amount of money for our Butte County community.